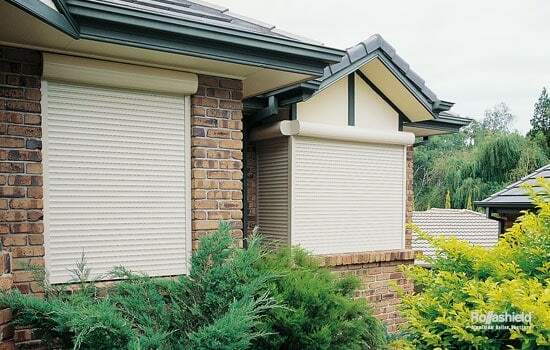 We are proud licensed suppliers of Ozroll Shutters. Ozroll Shutters offer an immediate visible deterrent against intruders, while also providing many environmental and economical benefits. Their lightweight roller shutters are extremely sturdy, providing excellent insulation, privacy, light and airflow control, noise reduction, and protection from bushfires and storms. They also give you control over the affects of the environment within your home or building by preventing the sunlight from fading carpets and other interior furnishings, as well as providing a long term protection for window frames. The shutters can be controlled either manually or electronically from within your home or building, which adds enhanced security. And their low voltage, Ozroll Drive System makes them simple for the whole family to operate. For more information, read our article Can Security Screens or shutters save you money?